Today, I was supposed to be 'hopping' around the globe with fellow Demonstrators from the United States, Canada, United Kingdom and Australia. Unfortunately, whilst focusing on "Anything But A Card" I used Spring Summer Designer Series Papers instead of Sale-A-Bration products, so withdrew myself from the official 'Hop'. However, I still need to share my project with you !! 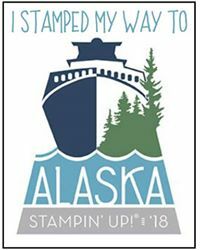 Back in November, several members of my downline team and I attended Stampin' Up! On Stage Local event here in the UK. It's customary when we get together to share small gifts with each other, team gifts, pillow gifts, whatever we want to call them, usually including all our hotel party, so includes a few 'honorary' O.W.L.S. team members. 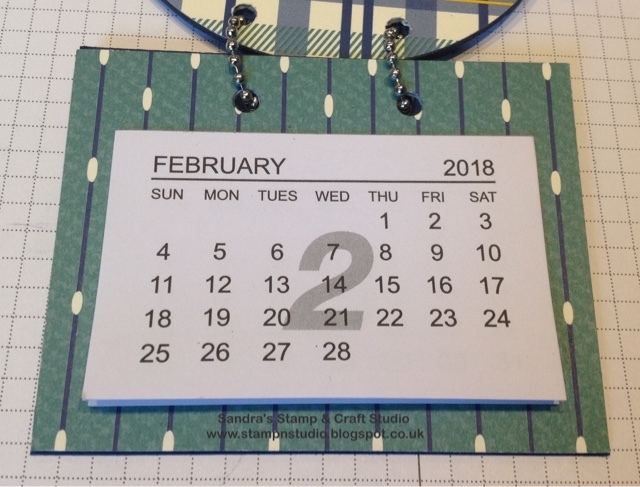 My gifts for my 'parliament' of O.W.L.S was this calendar below, but using Designer Series Papers from the Autumn/Winter catalogue. I have revamped my project above was created using True Gentlemen Designer Series Paper #145593 in our Spring/Summer catalogue. It's always hard to create projects for the men in our lives, but these papers make it much easier. These two close up photos show you in more detail, however, if you would like a mini tutorial to make yourselves, please pop back again tomorrow evening and I will share how this project was created. 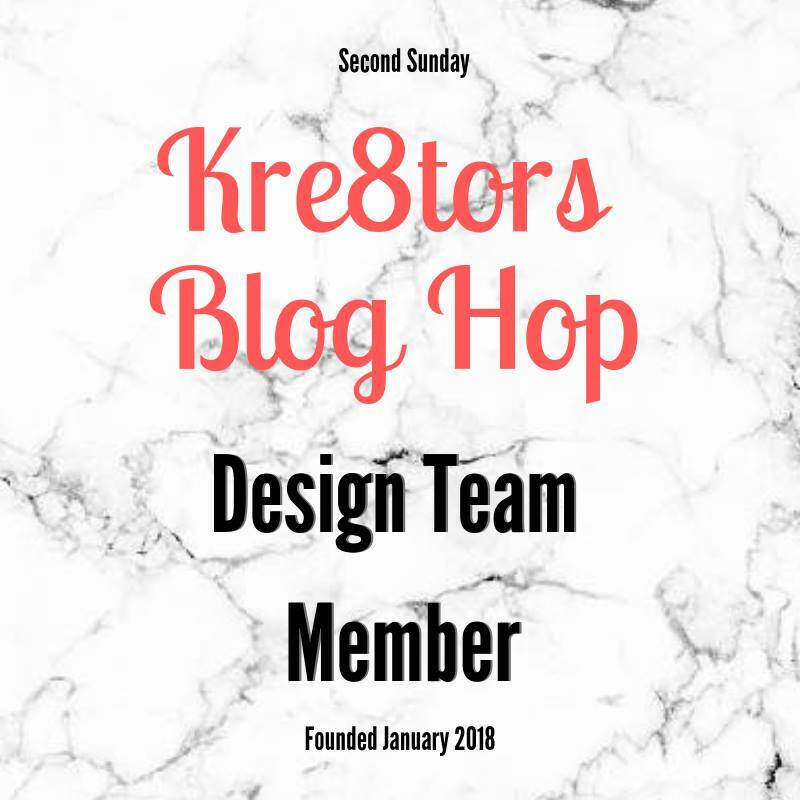 If you wish to visit my global friends at the original hop, then please feel free to pop along CLICK HERE. This is so cute! My Mom is going to love this because it looks like punch art! Thank you. 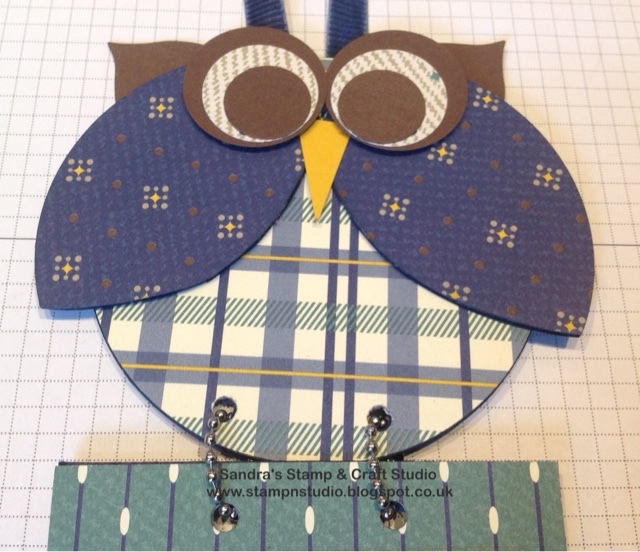 I have an OWL thing going on in my craft studio so had to be done for team gifts last On Stage. What an adorable owl! I would love to re-create this! Thanks, I love them too. I'm trying to get instruction post up tonight. What a fun idea! That is one of my favorite DSPs. Yes, gorgeous DSP but not as keen on sentiments in tge stamp set so not getting those. 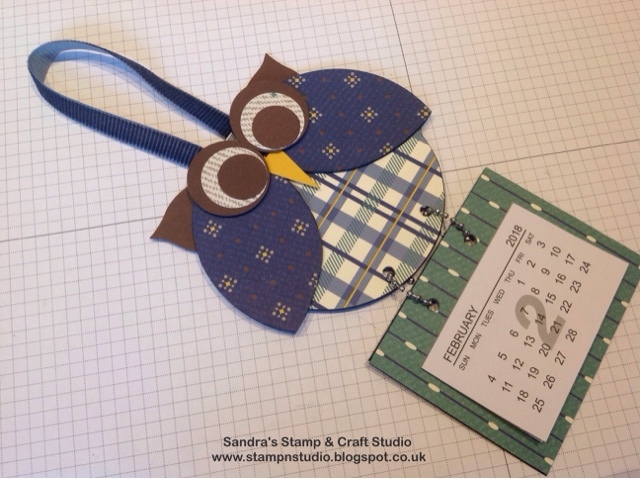 So cute -- and owls are so on trend! Great project!